Putin, with DiCaprio, to narrate new 3D Baikal documentary? The Russian President could lend his voice to a new 3D film about Siberia’s Lake Baikal, Russia’s largest water body. Leonardo DiCaprio, the American movie star has already agreed to be part of the English version of the project. Leonardo DiCaprio, the Oscar-winning star actor, will lend his voice for an English-language voice-over for a 3D documentary film, ‘Lake Baikal: The Heart of the World’, reports Rossiyskaya Gazeta. The U.S. star, however, may have a rival for the film’s voice-over. Russia’s President Vladimir Putin has been asked to narrate the Russian version of the documentary, said Igor Dobrovolsky, the project’s head of production. Dobrovolsky made the statement at a session to seek state funding for the documentary film, held by the Russian Ministry of Culture, said the website proficinema.ru. The producer said although the president has not responded to the invitation yet, he was hopeful of a positive response. The documentary film is an international project with Chinese, U.S., French and Russian filmmakers being involved, stated RG. The project will be overseen by Russian director Svetlana Rodina-Zayarskaya. The preliminary budget has been set at around 70 million rubles ($1 million), of which 33 million has already been provided by an unnamed donor. The film’s makers have applied for another 7 million rubles from the Ministry of Culture, reports proficinema.ru. This is not the first time a film about Lake Baikal has been shot in the 3D format, stated RG. A U.S.-Russian team of filmmakers shot a series of panoramic video sequences for use in virtual reality head-mounted display systems, like Google Glass, in the Baikal Biosphere National Park in spring 2015. The videos will be shown in scientific institutions around the world as part of a virtual travel project for schoolchildren, named Google Expeditions, aimed at raising awareness of the importance of protecting environmentally valuable sites like the Lake Baikal. DiCaprio can add the film to the list of environmentally oriented projects that he has been involved with in recent years. He said in July that his personal fund, the Leonardo DiCaprio foundation, would be allocating $15.6 million to the development of an environmental protection programme and to the fight against climate change. 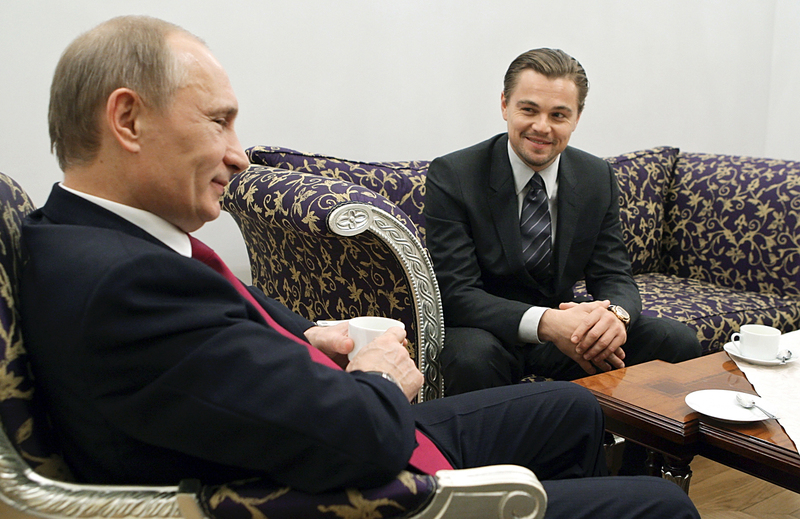 The project is not the first time DiCaprio has been linked with Putin. In February 2016 the American star had provisionally agreed to play the role of the Russian President in a new movie about him entitled simply, ‘Putin’. DiCaprio had earlier admitted in an interview with the German newspaper ‘Welt am Sonntag,’ in January, that he would like to play the Russian leader on film.